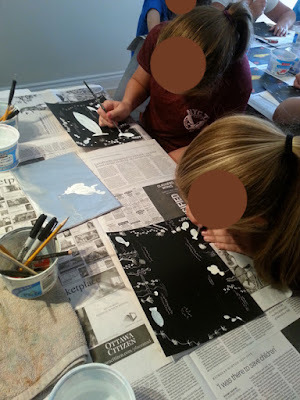 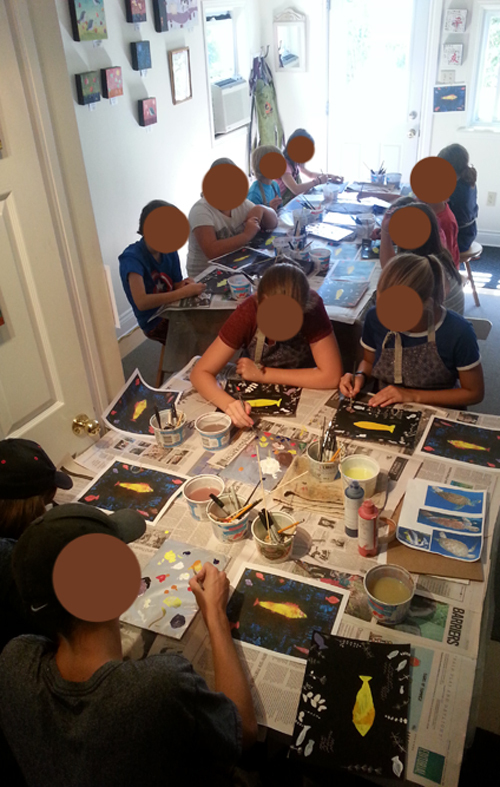 Day 2 of the “Sea” visual art camp. 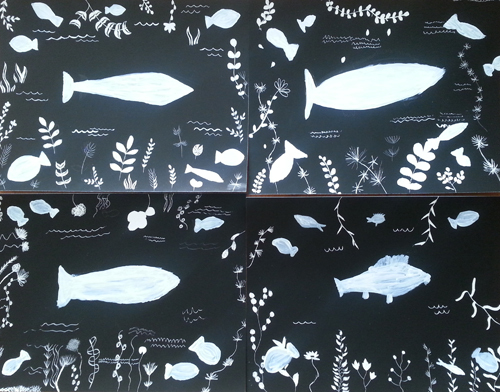 Students have been working on the Paul Klee’s project, the Golden fish. 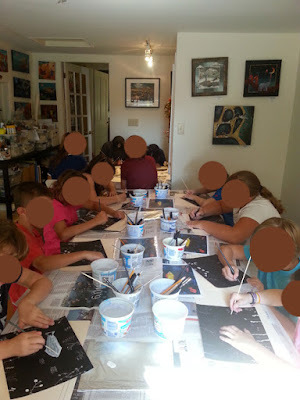 My oldest student in this group has been coming to my summer art camps for the last nine years… time flies! I see some of my students once a year during the summer art camp and it is always a pleasure to catch up with them and found out what they have been up to.